The Alan Sol Foundation has donated 250 000 Rand to SCOUTS South Africa for their continued efforts to contribute to the enhancement and preservation of the environment with its objective being either that of fauna, flora and human beings. “We are very humbled and grateful for being granted this Award. In memory of the late Alan Sol we will attribute the funds donated to our Messenger of Peace programme. The Messengers of Peace (MoP) programme consists of service projects run by Scouting members within their communities. These projects aim to alleviate many social challenges ranging from hunger alleviation to mitigating the effects of climate change.” Explains SSA CEO Mrs Milly Siebrits. The late Mr Albert Sol established a charitable trust whereby every five years an Award is donated to an organisation that makes a substantial effort to enhancement and preserve the environment. 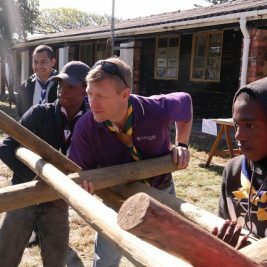 The SCOUTS South Africa Messengers of peace project was initiated in 2011 and is supported by Scouts all over the world. 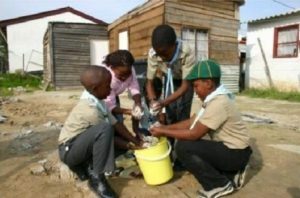 In South Africa the MOP service projects cover five categories: Food for Life (Agricultural skills development), Global Warming and Climate Change, Renewable Energy (Reduce, reuse, recycle), Access to clean drinking water and Biodiversity conservation. Sustainable development, individual efforts = global impact!